September 2015 – I'd bookmark that! Books, Debating, Fonts…..it’s all covered. If you are one of the overseas viewers of this blog we are just going into a 2 week break between terms/semesters. This gives us a chance as teachers and students to recharge our batteries before our final push to external examinations at the end of our school year. On a completely unrelated note I was interested to see that golfer Jason Day and his wife Ellie have named their son Dash, after the little boy from the movie The Incredibles. They named their son Dash. Does anyone else think that’s a bit crazy? I don’t even approve of the name for the movie character because how did the parents know when he was born that he was going to have super-speed? They just had a guess and got lucky? I mean, he could have had any number of different super-powers, so this really grinds my gears. 1.With 2 weeks stretching ahead I see a comfy couch and a good book in my future, just like the old gypsy woman said…..
3.And finally, here’s a website that shows you a word or short sentence in all the different fonts on your computer! Nice. I can finally avoid my old fallback of Comic Sans…..Have a good two week break people! I’ve been thinking a lot about vampires this week. This is because I recently found a comic book series written by one of my all time favourite directors, Guillermo del Toro. 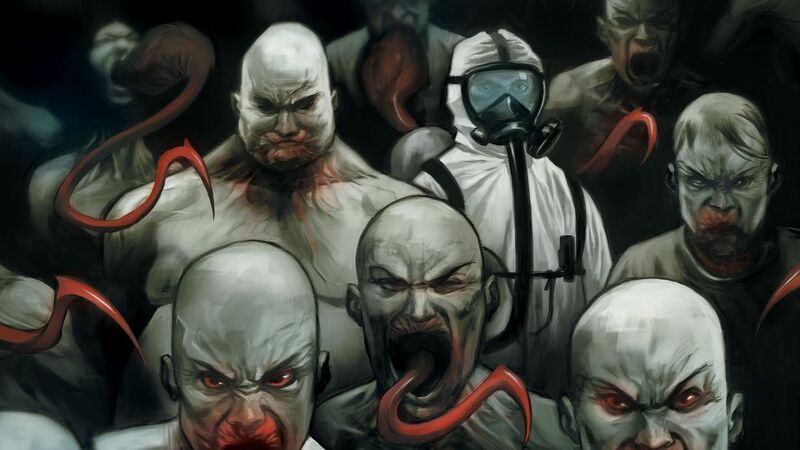 It’s called The Strain , and it’s a collaborative writing project by del Toro and Chuck Hogan. It has made this week an interesting time. Especially because I also discovered that The Strain is now a TV series! In the comic (no spoilers) the vampires are created by a parasitic worm and that made me think that what makes parasties so sinister and compelling, is the premium we place on our free will, our independence. Therefore, the prospect of losing those qualities to forces unseen informs many of our deepest fears. And therein lies what scares us most about vampires. The parasite that drains us of freewill and independence. Revolting, but compelling viewing. So, my first post this week is a link to the comic, there’s a free first issue……. 2. Not sure what subject this would apply to…….it’s real time world map of major alerts. 3. Kinda cool for Geography, or creative writing, this site just dumps you randomly somewhere in the world, using google street view. Yeap, this was fun, unless you’re dropped somewhere like the outback in Australia! Good luck finding anything other than asphalt and sand for 500 kilometres! Gidday all. Things this week for English/Media, History/Social Science, P.E/Health….enjoy! 1.Judge a book by it’s cover…I got this with an 86% accuracy. But I feel like it’s not fair to call me judgmental….if there wasn’t one book about vampires or zombies what do they expect? Or even just zombies, or just vampires. 2.The older you are, the more entertaining this is……Not a comment you hear often. 3.My google bone’s connected to my blog bone…. 1.Overhead shots of amazing world locations…..simply incredible. Also, reminds me of those dreams I have had about flying. There’s something soothing about the patterns found in nature. Equally impressive are the patterns we imprint on the landscape as humans. 2. Moving and informative look at the Fallen of World War II – a great site to start discussions in History and Ethics classes. At one stage when they started showing the Russian deaths I thought my browser was broken….just kept going on, and on, and on……sobering stuff. 3. Finally this week, a little relaxation….can you say “Oooommmmm.” Have you ever been sitting somewhere, quietly dozing, and wanted the smooth sounds of rain gently falling? I love a rainy night…Eddie Rabbit, take it away!